Modern QSR management is constantly looking for ways to speed up the process of the drive-thru customer placing her order, paying for it and ultimately receiving exactly the meal that she ordered with no errors. Digitalization of the process is the key to success, in no small part because drive-thru digital signs can be updated with a few keystrokes of the manager’s laptop or smartphone. This enables efficient dayparting. No longer must the customer wade through choices not presently available, such as breakfast items in the evening or burrito specials at 7 a.m. This simultaneously accomplishes two important goals. First, “eyeball overload” is eliminated – there are simply less choices to wade through. Secondly, there will always be those who might want pancakes at 11 p.m., and ugly, stress-producing, time-wasting scenarios can be avoided. 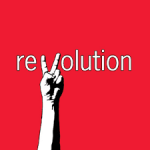 The revolution opens up a whole new vista for QSR management. Scanners in the drive-thru lane can identify the customer thru his car’s license plate. He can also be identified by an app on his smartphone. Part of your Digital Signage software will have noted his previous choices, and the Digital Menu Board closest to his car, at his eye-level, can then re-offer those choices again. Analytics is the science of interpreting data, in this case, the choices you customer has made in his previous visits to your establishment. In addition to offering him the opportunity to purchase what he has previously ordered, the analytical program can offer logical “forks” – for example, if he ordered tacos previously, the burrito platter will also be displayed front and center. This is also a great opportunity for upselling; if he ordered a cheeseburger and a drink last time, your “smart system” can suggest the cheeseburger special, a very logical departure that Mr. Customer is quite likely to agree to. In fact, one of the greatest things about this type of “soft-selling”, is that he’ll likely think it was his own idea in the first place. It all adds up to faster throughput and happier customers spending more at you establishment.